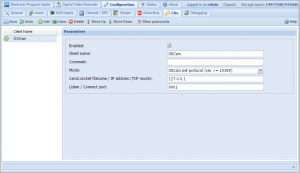 This guide details how to integrate OScam with TVHeadend to enable decryption of pay TV channels within TVHeadend. The guide does not deal with the configuration of cards (local or otherwise) on the OScam side and is in no way intended to promote piracy of pay TV. You should use this guide to decrypt channels for which you have a legitimate subscription for. 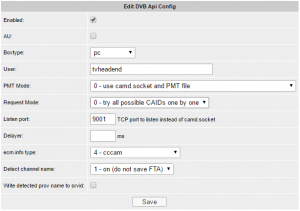 The first part of the guide deals with setting up OScam to allow TVHeadend to request decryption keys for encrypted channels. Before leaving OScam, you should configure at least one card to provide the decryption keys to TVHeadend. This is outside of the scope of this guide but you will need one card for each CAID that you wish to decrypt in TVHeadend. If you use multiple providers, you will need at least one card for each providers channels you wish to decrypt. 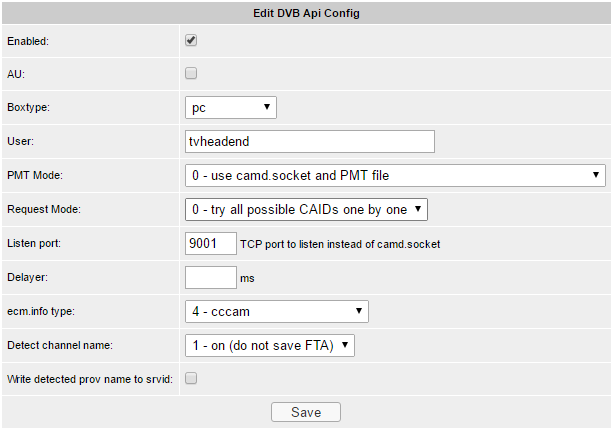 Next we switch to TVHeadend to make the link back to OScam. The icon to the left hand side of the newly created CA client should show a green tick – if this isn’t the case, go back and double check your settings. 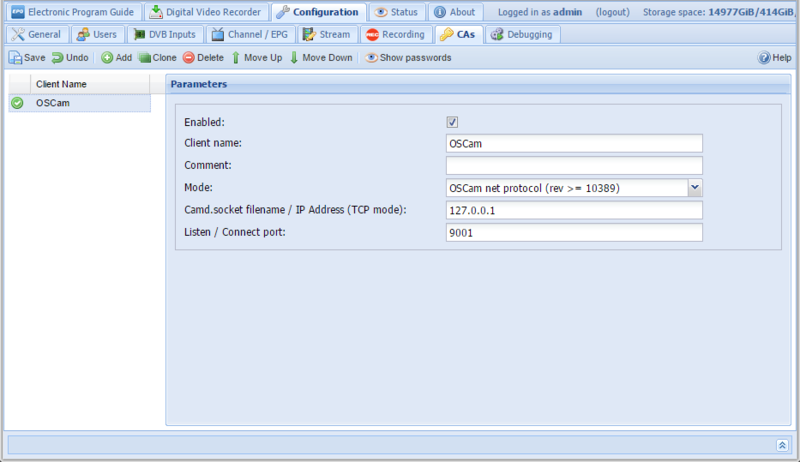 Also make sure that port 9000 isn’t blocked on the machine running OScam.